It’s August, nearly hunting season, and I can’t wait. The official hunting calendar starts with opening day of dove season, a quasi-religious holiday in many parts of America. Many men would no more miss the opener than they would their child’s christening, or their wedding day. OK, many have moved a wedding date to accommodate the “opener” but the point remains. Opening day of hunting season is a big deal. Why is that? I think is for a variety of reasons. Mine are these. It means cooler weather is coming and it coincides with the beginning of football season. Therefore, if you can’t go hunting, you can watch either college or pro ball. Or better, you can watch a game mid-day between hunts when you’re out on the lease sitting in the bunkhouse. Hunting also holds some peculiarly male rituals. Hunting involves food, great food; outdoor cooked food! And we all know that everything tastes better that has been cooked outdoors. Bring some, kill some; cook it and enjoy it. Ah, hunting and eating! Further, is the male ritual of competition – you get a chase and a chance to use your skills against the opponent – the “game animal” – on their home turf. Hunting also involves bragging rights, as to who got the biggest or most or whatever. Hunting involves story telling (lying). And it celebrates the complete lack of proper etiquette (you can eat with your fingers, burp, scratch and _ _ _ _) and wear whatever dog-gone cloths you want, as long as they’re camo! The clothes don’t have to fit; they can be dirty, mismatched and tattered. And that leads me to one of their great male celebrations of hunting. Hunting involves freedom. The only limits are the law; both state and federal regulations as well as the law of safety. That is it. And then there is power. Holding a gun in your hand gives a guy an immediate sense of power. A gun is a powerful tool. It is loud and shoves when you shoot it. And it eliminates the life of what you hit with it. That is dangerous, exciting power. I remember, as a young man; actually a kid of 7 years old, when I received my first firearm – a .410 shot gun. It felt wonderful to hold it. It gave me an immediate sense of adultness (responsibility), a sense of belonging and male bonding (I got to hunt with my dad and his friends) and a sense of freedom (no mom telling me how to do every little thing). Hunting gave me a proper sense of my own success and how I used freedom to get there. I could shoot and hit something, if I had properly practiced, aimed right and got within range of my prey. And I had to own my failure, if I goofed on any of the previous exercises of the sport; practice, placement and proximity. Finally, hunting involves friends, traditions and instruction. When men hunt together, as family members or friends, there is the natural expression of teaching and the unusual acceptance of learning. It’s one of the great multigenerational realities among men; we pass on our tricks, techniques and traditions, of appreciating, chasing, harvesting and consuming game, when we hunt. Men are egotistical by nature – know it all’s if you ask them – which is why I marvel at what I see among mature men who hunt. Men are more receptive to learning from other men, while in a hunting camp, than most anywhere else – board room, shop floor, class room or ball field. Did you realize that Christianity is supposed to be the same way? 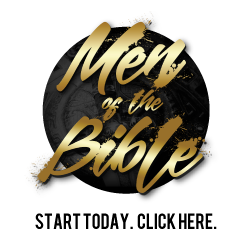 In Christianity we have one of the greatest tests of masculinity of all – a calling to follow Christ Jesus, the greatest man who ever lived – strong, bold, balanced, godly, redemptive, generous, true, pure – a real man. Christianity involves male bonding and generational instruction; “the things you have heard from me…these entrust to faithful men”. It involves food (Acts 2:46) and there is no need for a designer wardrobe. Instead we are to clothe ourselves with Christ (Galatians 3:27, Romans 13:14)! But mostly Christianity involves Christ. He created the whole “outdoors” that we appreciate. Yet he loves to live indoors, in our hearts that is; in the people He redeemed through His atoning blood (Rev 3:20). And that indwelling of Christ in us, gives us “the hope of glory” (Colossians 1:27), that is, a really good life that honors Him here (on the turf where we live), as well as later; as we live with Him in the Glories of a heavenly Kingdom where sin, death, pain and chaos are past and only love, joy and peace remain. However, there is one huge contrast. Hunting season comes only once a year and lasts only a short while. So, is He true for you? You may receive Him, His forgiveness and the gift of His presence, with a simple request – pointed to Him – call it a prayer. It may go something like this… “Jesus, I know I am a sinner – I prove that regularly with my thoughts and behavior. I also know you are the Son of God, who died for my sins. I also know I need your forgiveness and I want to a relationship with you. Please forgive me of my sins and come into my life to make me clean and enable me to live a life that honors you. I receive you as my savior, now. In Jesus name I pray. Amen. There you did it. You are a Christian now. No, the prayer didn’t save you, Jesus did. But your sincere request, to Him, was a demonstration of faith. Now tell someone else what you just did. And contact us, so we can connect with you to support your desire to grow in your relationship with Jesus.